The Fun Spanish for Kids! The Fun Spanish is an elementary curriculum that makes learning Spanish for kids in grades 2 through 5 both fun and easy! With The Fun Spanish, Children learn Spanish the Charlotte Mason way–one fun phrase at a time. Elementary children read fun Spanish sentences, write fun Spanish sentences, and draw funny pictures. These fun silly pictures serve a purpose. The pictures illustrate the fun Spanish sentences, aiding in memory retention. With The Fun Spanish, children read Spanish sentences about green cats, orange rats, fish in trees, and blue houses with wings. Besides verb conjugation, prepositions, and a host of vocabulary, children using The Fun Spanish also learn an important concept, frequently left out of almost every elementary Spanish curriculum on the market today. Children using The Fun Spanish learn the fundamental structure of the Spanish sentence. 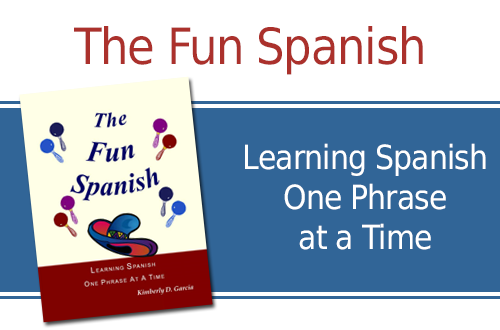 At one lesson every two weeks, The Fun Spanish is a year long program. After students complete The Fun Spanish, they are more than prepared for studies with The Learnables, a high school Spanish curriculum that we love. View the Fun Spanish Now!